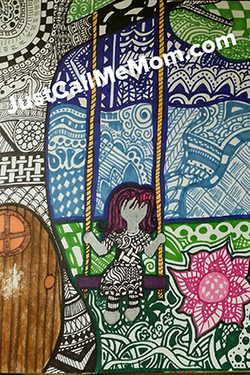 As an introvert, I use my art & "alone time" to recharge. 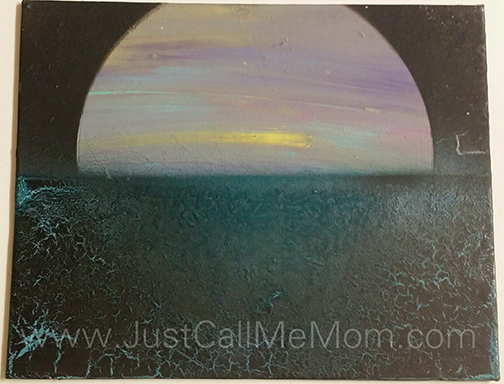 I especially like doing pieces that reflect my idea of calm, happiness and love. I see this girl being at the height of mental comfort and peace being among nothing but flowers. I have been practicing drawing and coloring faces when I can find the time. I was looking for alcohol markers, but couldn't justify spending that kind of money yet. I've mentioned the facebook group Embrace Your Art Daily before, it's an amazing group. They inspire you to create 365 days of the year, giving prompts with ideas for your art. The prompts and group members are absolutely wonderful. 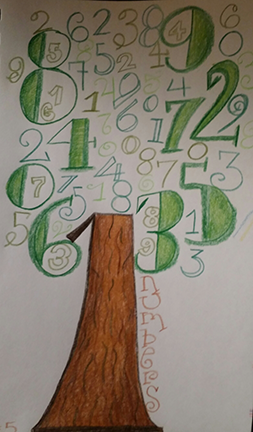 This Number tree - educational art, was done entirely with Crayola Colored pencils, and was inspired by the #5 prompt "numbers." This is an older picture, I'm pretty sure I did this one while I was still pregnant with Kinley. Noah loves it, and I was pretty proud of how it turned out also. 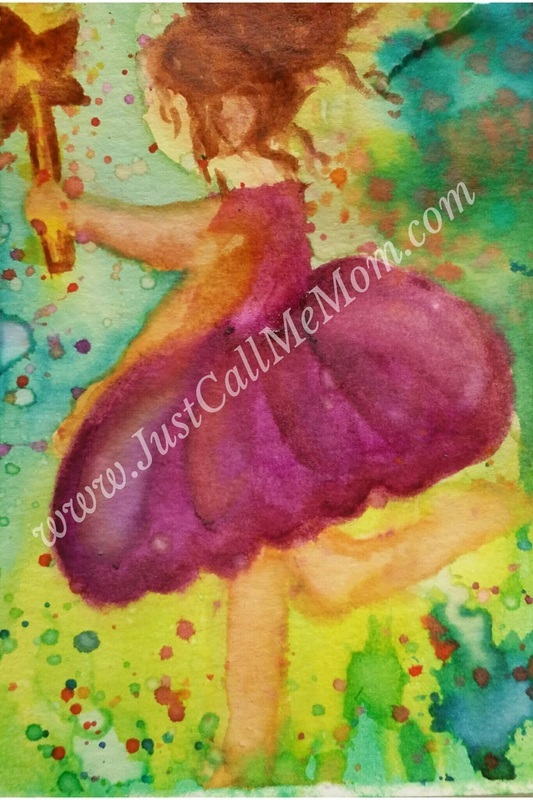 I love being able to incorporate educational art into daily lessons and play. 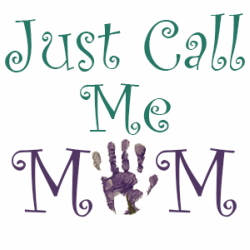 I use art as my "me" time, my "mommy recharging" time, and I don't have to feel guilty about it when what I'm working on will be something we can use together to learn something. Be sure to click on the title of this post "Number Tree - Educational Art - Crayola Colored Pencils" above, or "Read More" below to see the rest of this post. Watercolors & Sharpie marker on Canson watercolor paper. The naptime struggle is all too real in our house. It took us 5 years to get pregnant with my son, and 8 months after he was born, we found out he was going to be a big brother. Needless to say, we were a pretty surprised, and freaking out a little too. We were still exhausted from having one baby, then, out of nowhere, we were going to have two. Don't get me wrong, we were thrilled, but we were also tired. So tired. One day at naptime, I may or may not have completely lost it on someone who knocked on my door and caused the dogs to wake the baby. No matter the circumstances, so many parents can relate to this that I just had to make it. Be sure to click the title, or "Read More" below to see a larger image, to read more about this piece and the story that goes along with it. ​Please feel free to share your funny parenting experiences in the comments section below. I really like the look of combining different textures and colors in my doodles and I don't always do a lot of planning for my pictures, so having access to all of the supplies makes things easier, but also a bit overwhelming. In the past, I have tried a few different things, but none have really worked out the way I needed it to. Either there wasn't enough space on the surface I was working on, or everything was jumbled, and I couldn't find what I needed. Other times I would settle and use something else, then find what I should have used in the bottom of a mess of art supplies. I have finally figured out the perfect way to organize the art supplies. I'm so excited. Not only have I got the best art space I've had yet, but I finally found a use for the old coke bottle crate that's just been hanging on the wall in the garage. Noah and I were playing with acrylic paints one day and that turned into "lets pour a bunch of paint on the canvas and spread it around with our fingers." My brother Jimmy, aka Uncle Jimbo, came over and painted with us for a while. Years ago, I ordered 12 of these 8x10 canvas panels from amazon. These canvas panels were mainly for practicing, I don't usually paint pictures with acrylic paint, and they have been great for practice. They have been painted over and over with layers of paint and are perfect for playing with the kids. 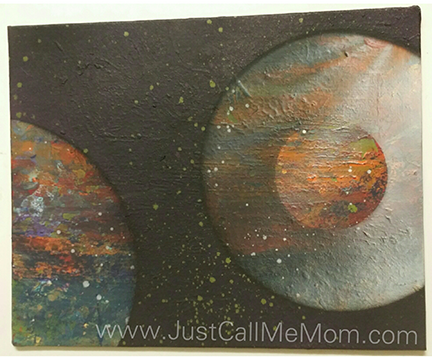 When the canvases and scrap wood dried, Jimmy and I got out the spray paint and played without the kids. I can definitely see myself doing this again. Not only was it a lot of fun, but I think some of them turned out really neat. Sharpie markers & oil pastels. I had a lot of fun with this one. It's definitely outside my comfort zone, but I am really enjoying practicing people. 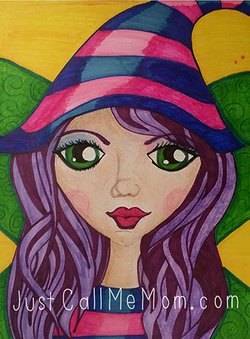 This nature girl piece was done with a combination of art supplies. 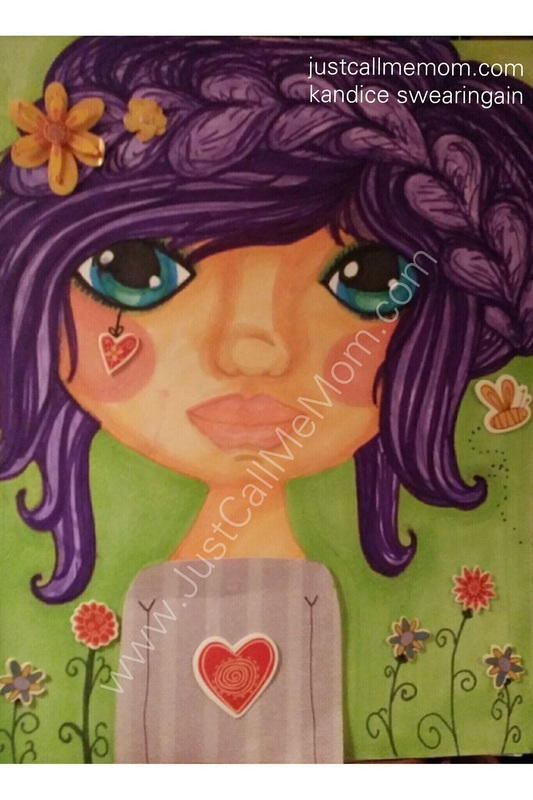 The background is watercolors and colored pencil, and her skin is oil pastels, while her hair, flowers, eyes, and nose are a mixture of Bic Markers and Sharpie Markers.